See the article, posted by Bill Fortune of the Marine Corps League, on St. George News. Got this link from Devil Pups, Inc. Hope you find someone you know here. Devil Pups and Families: Please let me know asap how many from each family will be attending the Marine Corps League breakfast, 0830 at the Elks Lodge. The Commandant has asked for a count. I have a few of you who have replied. Please all do so again as I have been with my husband a lot at the Southern Utah Veterans Home and want to make sure I give as accurate a count as possible. Thank you! I am not sure yet if Col. Toole and I can make it. We'll have to decide by tomorrow evening. Hope we can make it happen! Devil Pup uniform, big smiles and lots of thank you's!!! Might want to flash your challenge coin a time or two. 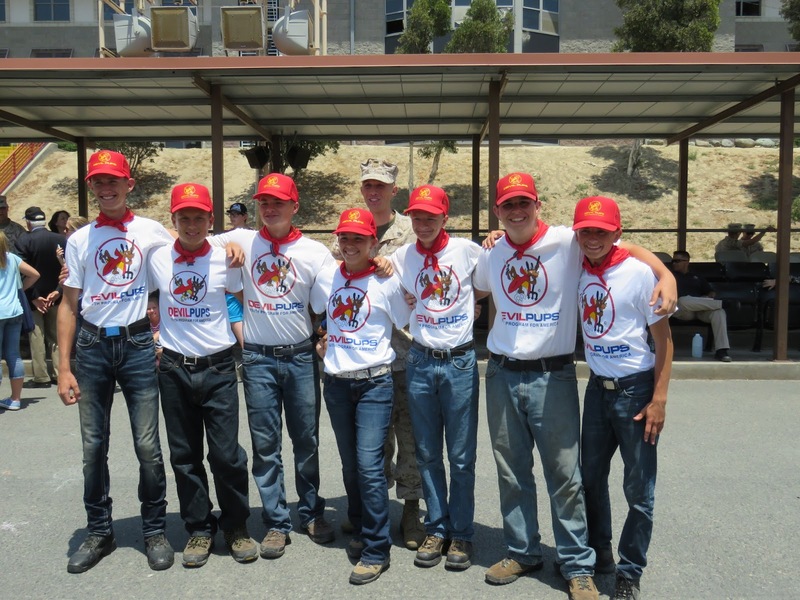 Devil Pups and Families: The Marine Corps League Detachment #1270 has invited all 2016 Devil Pup graduates and their families for breakfast at the monthly meeting of the Detachment on August 13, 2016 at 0830 for breakfast buffet. The Marine Corps League Detachment makes a huge donation to the Southern Utah Devil Pup program and we want to thank them for their support. They are eager to hear from the pups - if you could be prepared to say what you liked and didn't like about camp, that would be wonderful. Don't hold back!!!! Please remember to thank them if you are asked to speak, and thanking individuals as you talk with them would be very much appreciated. The meeting will be held at the Elks Lodge, located at 630 W 1250 No, St. George. Please wear your outfit - shirt, scarf and cap with your jeans. Devil Pups, Friends and Family - SAVE THE DATE for 2016 Awards Night. We will have a one-of-a-kind Awards Night on this date. As many of you know, Lt. Col. William C. Toole, who brought the Devil Pup program to Southern Utah in 2007, has moved to the Southern Utah Veterans Home in Ivins. We will have a dinner/awards night in the Multi-Purpose Room of the Veterans Home on Friday evening, September 23, 2016 from 6:30 to 8:00 p.m. We want to congratulate and award our newest Devil Pup graduates on this evening. Rich Linsday, President of Devil Pups, Inc. and Col. Ray Blum, a trustee, both long-time friends of Col. Toole will be here from California to honor him for his years of volunteer service to the Devil Pup organization. Please be sure to clear your schedule for this special time.